The local government unit of Manila declared suspension of classes in all levels on Friday, January 9, 2015. This declaration was made due to expected heavy traffic that will occur during the annual procession of the Black Nazarene. Manila City Mayor Joseph Estrada said on his phone interview with The STAR, "We are mobilizing all hospitals, the entire Manila police force, doctors, City Hall’s engineering department and the garbage department to be in full force during the Feast of the Black Nazarene." 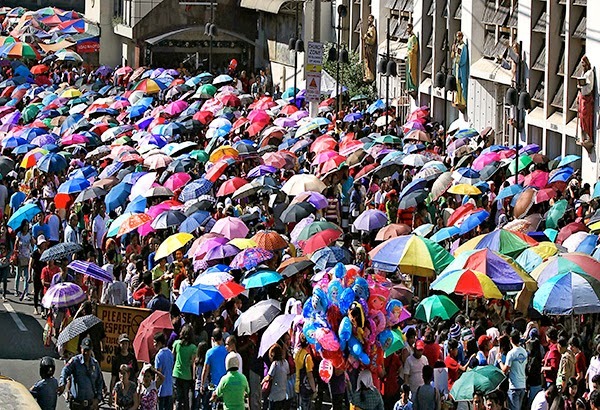 Every year, thousands of devotees are coming to celebrate the Feast of the Black Nazarene in Manila and their main goal is to get near the Black Nazarene but because of the huge crowd of people, some of them are contented with throwing towels at the effigy that other devotees wipe. According to report of the STAR on Friday, Jan.3, "at least 46 devotees of the Black Nazarene were reportedly given first aid while taking part in the annual thanksgiving procession in Manila." For more Black Nazarene related information, Please bookmark this page for updates and you may also share this post to your friends. Comments or suggestions about "Class Suspension for January 9, 2015 - ALL LEVELS" is important to us, you may share it by using the comment box below.